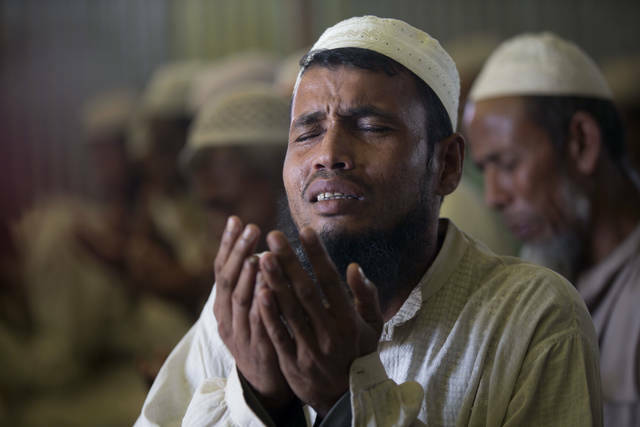 COX’S BAZAR, Bangladesh (AP) — Normal life returned to a Rohingya Muslim refugee camp in Bangladesh on Friday, a day after government authorities postponed plans to begin repatriating residents to Myanmar when no one volunteered to go. United Nations officials and international aid agencies praised the government of Bangladesh Prime Minister Sheikh Hasina, who hopes to retain power in elections next month, for upholding a commitment not to force the repatriation. Hasina has repeatedly discussed the toll on Bangladesh of hosting more than a million Rohingya — including more than 700,000 who fled military-led violence in Myanmar since August 2017 and tens of thousands of others who escaped previous bouts of violence and persecution. Residents of Cox’s Bazar district often complain that they have been undercut by refugees willing to work illegally for lower wages. Thousands of acres (hectares) of national forests usually roamed by wild elephants have been taken over by the cramped and unsanitary camps. But Hasina’s decision not to force the repatriation is unlikely to hurt her bid to win a third term in December, according to Pinak Chakravarty, India’s former ambassador to Bangladesh and a fellow with the New Delhi-based Observer Research Foundation. 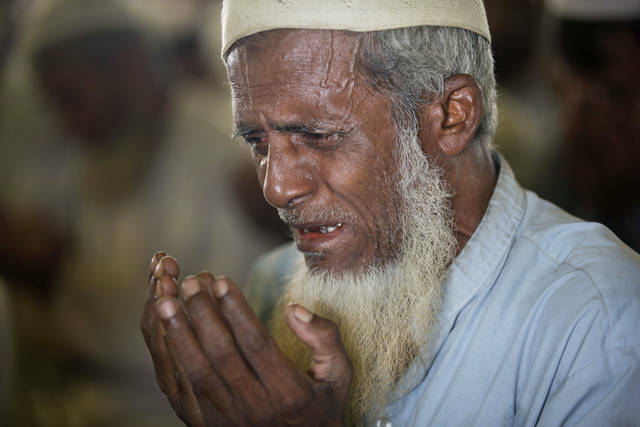 “The people of Bangladesh are sympathetic to the plight of the Rohingya. Apart from the fact that they’re refugees, they’re fellow Muslims. She understands that these feelings are strong, and that is why I think she would not force anyone to go,” he said. As it became apparent that refugees were unlikely be sent back, tensions eased in the camps. The checkpoints at the entrance to Unchiprang, one of the refugee camps near the city of Cox’s Bazar, were temporarily left unguarded on Friday morning as about 500 people crowded into a mosque for Friday prayers. Hundreds of thousands of Rohingya Muslims have fled to Bangladesh from western Myanmar’s Rakhine state since last year to escape killings and destruction of their villages by the military and Buddhist vigilantes that have drawn widespread condemnation of Myanmar. Bangladesh’s refugee commission had planned to begin a voluntary repatriation process under a United Nations-brokered deal with Myanmar by escorting about 150 refugees across the border on Thursday, despite calls by U.N. officials, Human Rights Watch and others to wait until the Rohingya’s safety in Myanmar could be assured. U.N. human rights chief Michelle Bachelet said earlier this week that the agency continues to receive reports of ongoing violations of the rights of Rohingya remaining in Rakhine, including “allegations of killings, disappearances and arbitrary arrests,” as well as widespread restrictions on freedom of movement, health and education. Fearful of returning home, some people on Bangladesh’s repatriation list left their shanties and disappeared into other camps. After a demonstration involving about 1,000 Rohingya broke out at Unchiprang, Refugee Commissioner Abul Kalam said plans had been shelved because no refugees were willing to return. Kalam did not immediately return calls and messages on Friday, and it was unclear when the process would begin again. 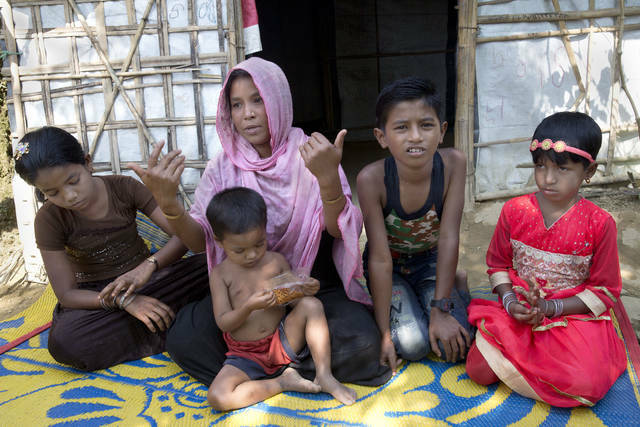 Nabi Hossain, 45, left his shanty at Unchiprang camp late Wednesday with his wife, Jamila Begum, and six other family members after noticing extra security at the camp. “We heard they will come and take us. We were in a panic,” Hossain said, adding that the family slept outside and didn’t eat much because they didn’t want a cooking fire to attract attention. They returned Thursday after hearing about the protest. “If they allow us to have our rights, our citizenship, we want to go. But if we are forced, if our rights are not given, it is better to crush us under the wheels of cars or be thrown in a river,” Hossain said. Not everyone who fled Unchiprang has returned. Johara, 30, a mother of five, said her husband left five days ago with their 6-year-old daughter, who was traumatized after witnessing Myanmar soldiers ransack their home village. “My daughter is terrified. She told her father to take her with him,” she said. Johara, who goes by one name, said her husband left to find his parents at another camp after she gave an interview to aid workers, and the family found out they were on the government’s repatriation list. While Johara waited for her husband and daughter to return, activity at Unchiprang returned to normal, with little sign of the aid workers, journalists or government officials who had swarmed the camp earlier in the week. Even as refugees in Bangladesh protested against repatriation, concerns grew that another Rohingya exodus from Myanmar by sea may be in the works. Authorities in Myanmar arrested 106 people, believed to be Rohingya, whose boat drifted to shore Friday morning in Kyauktan township, south of Yangon, during what they said was an effort to sail to Malaysia. One of the people detained, who did not give his name, told reporters that the group came from a displacement camp for Rohingya near Sittwe, the capital of Rakhine. He said the group departed on Oct. 25, and one passenger, a 20-year-old woman, had died of hunger. The boat drifted to shore after they decided to return to Rakhine because of the lack of supplies and tried to turn it around, he said. Sittwe is a frequent exit point for Rohingya seeking to make the dangerous and illegal voyage by sea to Malaysia, which is a Muslim majority country which generally tolerates their arrival. In 2015, a mass of such journeys caused a regional crisis, especially as the policy of some nations, especially Thailand, was to turn away the boats, even when those aboard were in desperate circumstances. Unknown hundreds of refugees are believed to have perished at sea. Several boats made the same voyage in April this year. Another boat believed to be carrying Rohingya refugees was sighted Friday near Indonesia. Muhammad Nasir, who heads a disaster mitigation office in the northern part of Indonesia’s Sumatra island, said fishermen reported seeing a wooden boat carrying about 80 people believed to be Rohingyas. Meenakshi Ganguly, South Asia director at Human Rights Watch, said Friday that the continued Rohingya flight from Myanmar shows that Bangladesh’s repatriation plans should remain shelved. “Myanmar might claim that it is ready to receive the refugees, but the truth is that the conditions are not safe, and the Rohingya cannot make a decision about voluntary returns until human rights protections are guaranteed with international monitoring, and there is accountability for the horrible abuses by the military,” she said. Associated Press journalist Min Kyi Thein in Kyauktan, Myanmar, contributed to this report. University of Southern California — Dornsife College of Letters, Arts and Sciences provides funding as a member of The Conversation US. Daniel Hruschka’s research has been supported by the National Science Foundation and the John Templeton Foundation. November 19, 2018 – The Association of Fundraising Professionals Central Ohio Chapter will be presenting Mr. R. Kevin Kerns with the Leave a Legacy Award for his contribution to Catholic Social Services’ Our Lady of Guadalupe Center, which serves the largest population of Hispanics in Central Ohio. Continuing a family commitment to social justice and philanthropy, Mr. Kerns’ legacy gift to the Our Lady of Guadalupe Center will fund a bilingual case manager and connect the Center’s clients with individualized resources to help them move toward self-sufficiency. It will also empower the Center, which is the only resource center in Franklin County aimed specifically at the growing immigrant Hispanic population, to make an exponentially greater impact within the community. The 26th annual National Philanthropy Day award luncheon took place on Tuesday, November 20 at the Hilton Columbus Downtown Hotel.